How do I save toner on my Samsung SCX-4623FW, fax, copier and scanner? I use a lot of toner and I'm replacing the toner often. What settings do I use to save my toner? Thanks, Angela Reginal. 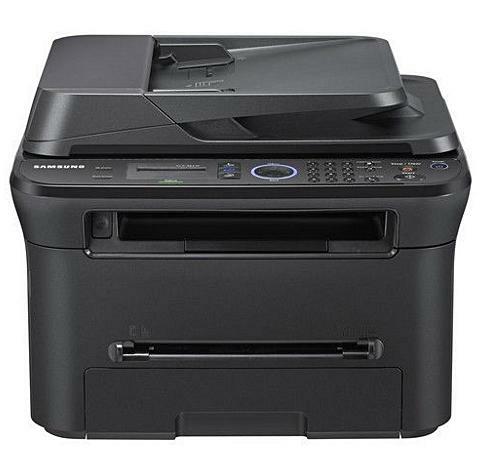 I would like to know the cost of colour cartridges for the Samsung SCX-4623FW laser printer? Do you fret that changing your Samsung SCX-4623FW laser toners may cost you loads of money? You can't make a mistake with Cartridge Save with regards the cheapest Samsung toners. When purchasing here, you'll not need to spend your time searching local shops for the Samsung supplies your laser printer needs. To find the best prices with our unbeatable customer care, pick Cartridge Save! You can have comprehensive satisfaction if you order replacement Samsung SCX4623FW toner with Cartridge Save courtesy of our cast iron refund policy that comes as standard . We help you save you even more money on toner as everything you buy comes with absolutely free delivery, and in most cases arriving following working day! The Samsung SCX-4623FW is a monochrome laser multifunction with impressive print rates of up to 22ppm. It scans, copies, and supports fax operations, and is good alternative to a colour MFP, especially for those who have minimal colour printing needs. It features full colour scanning, and a fax modem speed of up to 33.6Kbps, plus the convenience of an ADF for multiple page copies. The Samsung SCX-4623FW is an excellent home or office monochrome MFP, but it lacks auto duplexing support. The Samsung SCX-4623FW measures a sleek 415.4 x 318.9 x 416 mm, still compact considering it has an automatic document feeder installed right on top of the scanner lid. It features a digital copier and a CIS scanner. It uses a single toner cartridge, and connects to a PC via USB, wired, or wireless network. The Samsung SCX-4623FW is also designed for noiseless operation, making it one of the quietest machines in the market. The Samsung SCX-4623FW allows scan resolutions of up to 4800x4800dpi, and copy zoom rates from 25 to 400%. Its copy features include fit to page and ID copy (among many others). Reproduction rate is 22cpm. The fax function has auto dial functions with up to 200 locations. Multi sending, delayed fax, and Fax to PC functions are supported. The Samsung SCX-4623FW is a good monochrome multifunction, although its lack of colour print features puts it a step behind other more versatile printers.